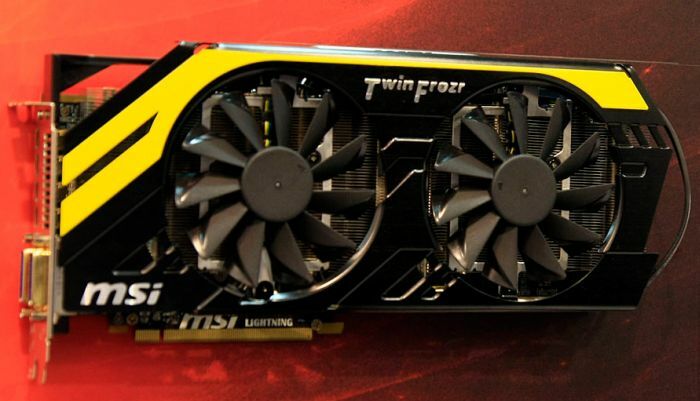 Here are some pictures from the CeBIT 2012 of the HD 7970 Lightning, MSI’s upcoming high end Radeon HD 7970 , with custom power circuitry and VGA cooler. 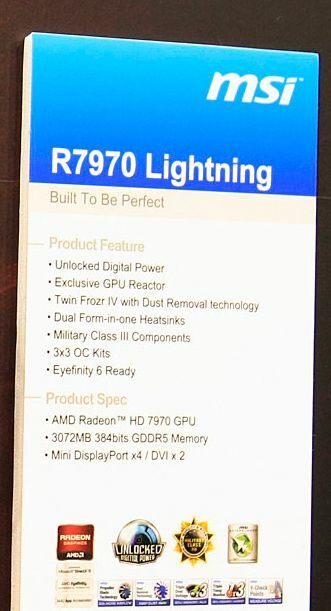 The board will have two 8-pin power connectors (the reference board has one 8-pin and one 6-pin). 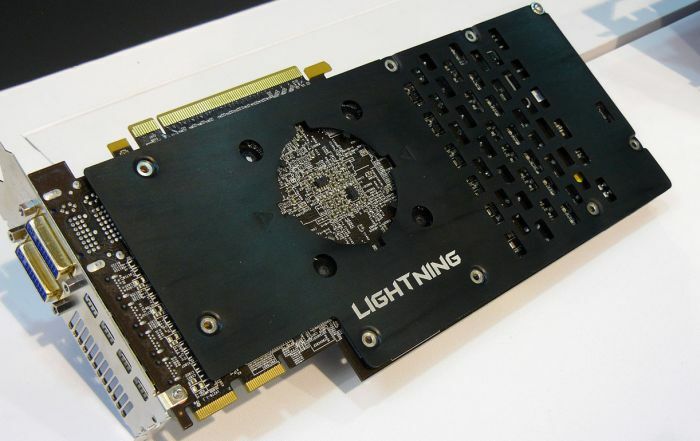 This Lightning will be available with a new custom VGA cooler, the Twin Frozr 4.